Puch Werke AG, Graz, Österreich. PUCH Steyr-Daimler-Puch AG, Österrike / Austria. Svensk Generalagent : Motorlund i Malmö AB, Rosendalsvägen 27C - MALMÖ , senare Steyr-Puch AB, Malmö - Sweden. 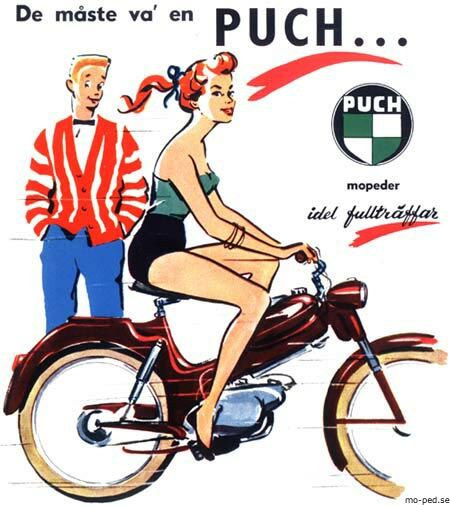 The Puch company located in Graz, Austria was founded in 1889 by the industrialist Johann Puch. The company produced bicycles, mopeds, motorcycles, engines and cars. The Puch moped MS 50 was introduced with success 1954. Other mark made in Austria. 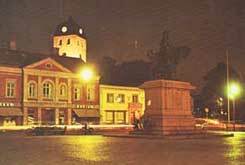 Back to lokal index: Puch, Norsjö o. Tomos. 1955-75: Sweden, Holland, England, Norway o. Austria. - Spark plug guide Champion, KLG. 1955-57: Motor Roller - Norway, Sweden. 1965: Leichtroller R 50. 1957-75: Dakota. - Norway, Sweden. Dakota, test i Motor. Dakota i Bullaren. Dakota VZ 50 V3. 1963-75: Alabama. - Norway, Austria, Sweden. DS 50 KX, DS 60 RS. DS 50, R 50. Alabama i Strömstad. DS 50 V3. Sears Roebuck & Co., U.S.A. - Simpsons, Sears Limited, Canada. 1965-75: X-30. - Austria, Sweden. 1975: All mod. in Sweden. Holland: Amstel R. S. Stokvis & Zonen N.V., Rotterdam. FLM MC-LUND, Malmö. - Swedish made "PUCH". Packi transportmoped. Norsjö Mek-Verkstad AB, Forshaga. Generalræpresentant: O. E. Andersen Kronprinsensgade 14, K - Minerva. Holland R. S. Stokvis & Zonen N.V., Rotterdam. Puch - Maskinhuset A/S., Stavanger. Puch - Basse Hveem & Grorud, Lilletorget - Oslo. Youth takes a brake from driving mopeds at Kungstorget in Uddevalla. On the post card a parked Puch and beside a few unidentified mopeds. 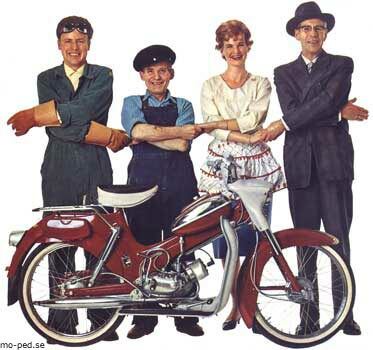 Märke PUCH 1956-61 Cykel & Sporthandlarnas Bytesprislista för MOPEDER. CSR guide Alla märken.